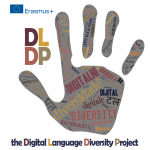 Promoting the digital language diversity is a community enterprise. We will succeed as long as the ideas of equal digital language rights and equal digital language opportunities will be shared and endorsed by as many speakers of regional and minority languages as possible. if you represent a project, an organisation or an initiative that goes hand-in-hand with the aims and objectives of DLDP, you can propose it to become one of our Twin Initiatives.